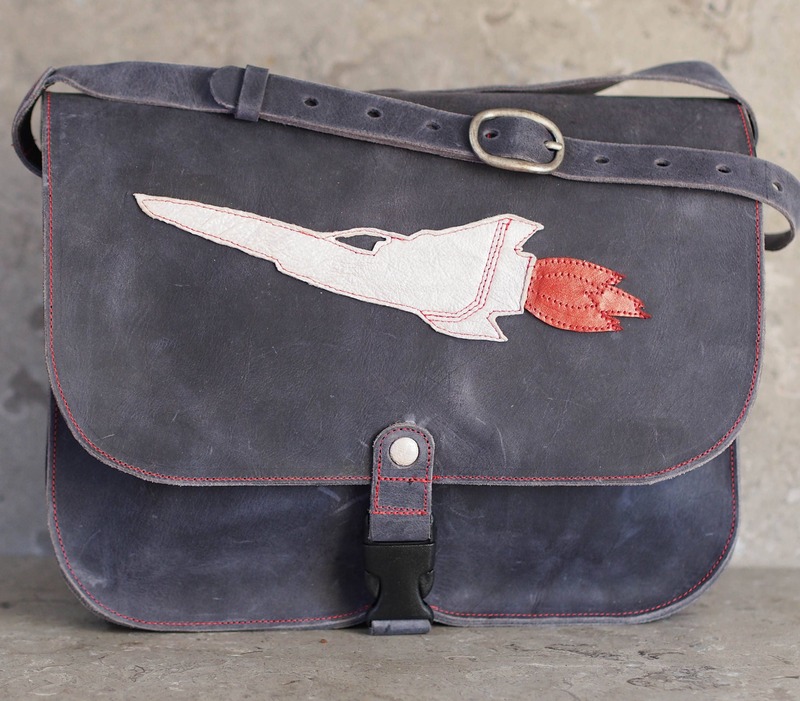 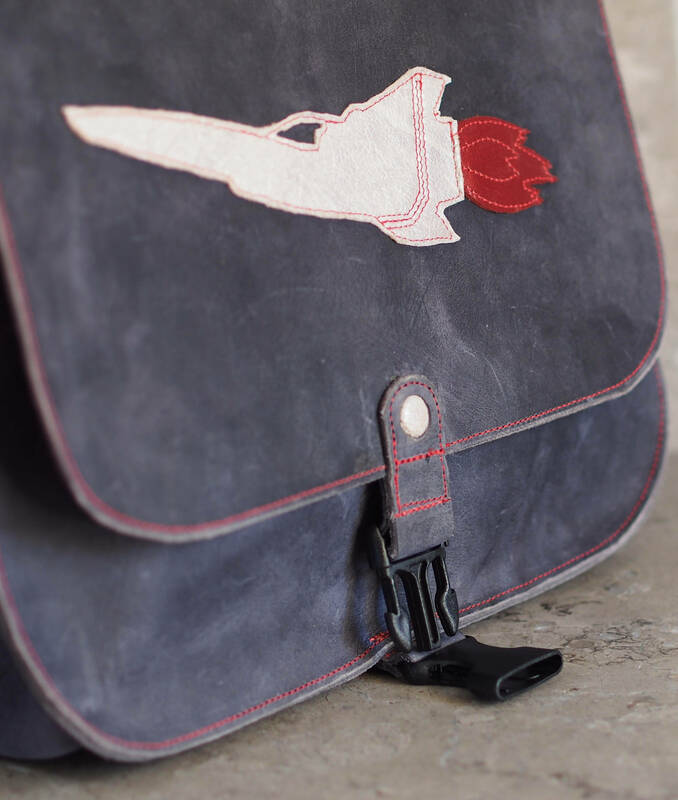 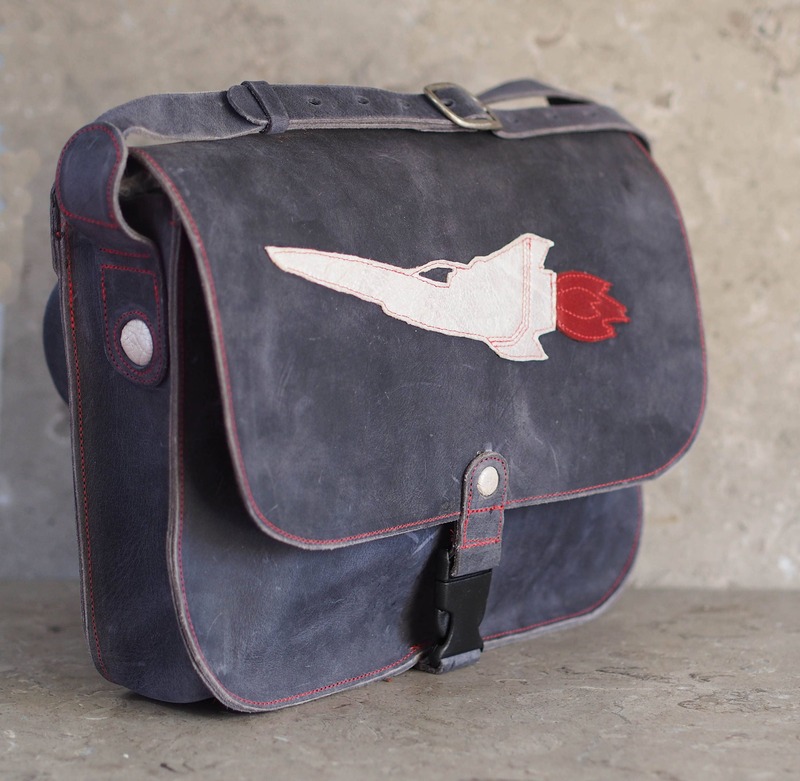 This leather satchel, or messenger bag, has hand cut BSG (original series) inspired Viper launching across the flap. 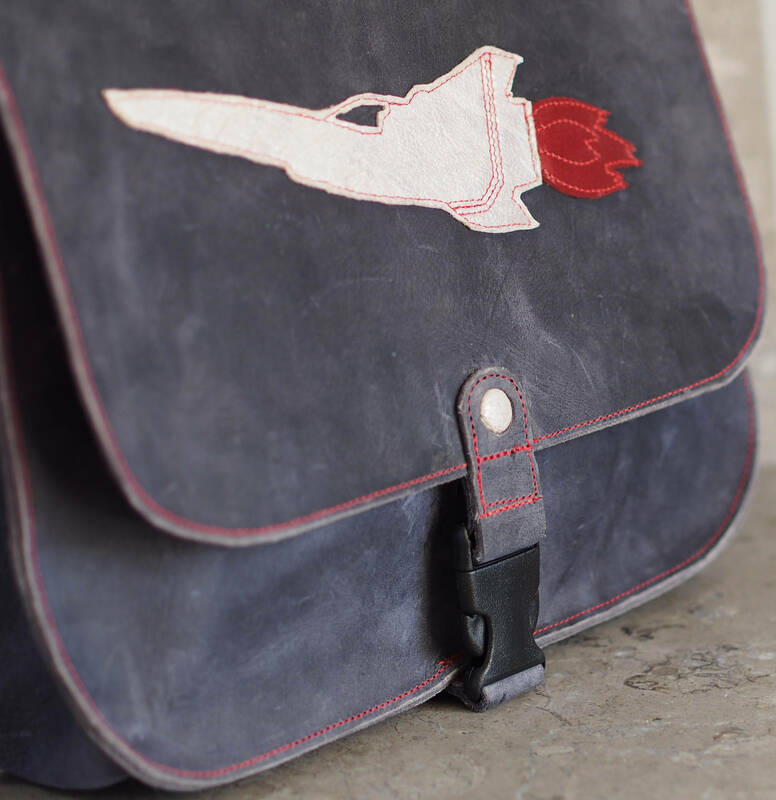 The body of the satchel/messenger bag is 12" wide, 9.5" high, and 2-2.5" deep, pending how full it is (in photos there are only air bags to partially fill it). 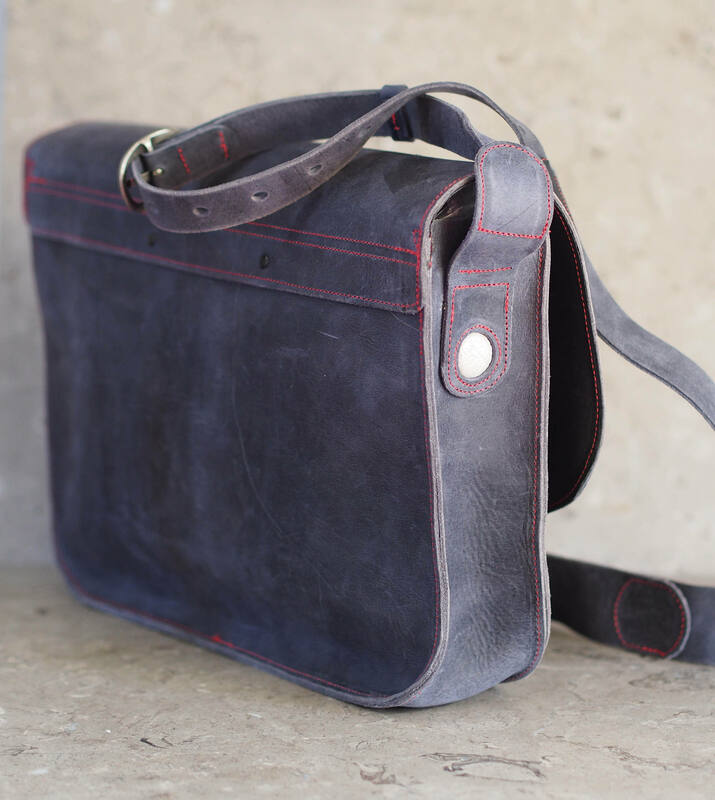 The cowhide is has a "pull up" finish, so the stellar blue will vary by areas with stress/bending, as well as wear--but unlike many leather finishes, scuffs and scrapes tend to blend and add more character to the hide, versus appearing as a distinct blemish. 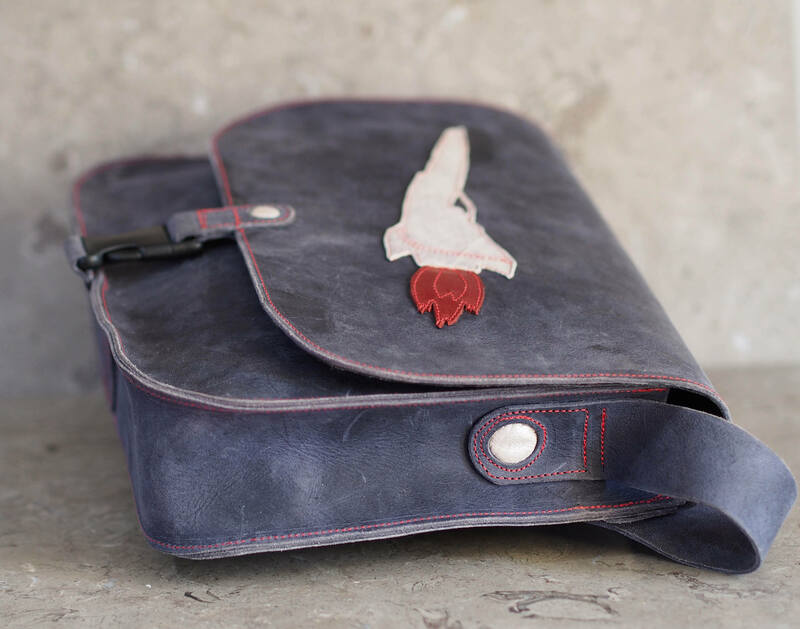 The strap is 1.325" wide until the area for the buckle and adjustment holes, which is 0.75" for the antique silver finish buckle. 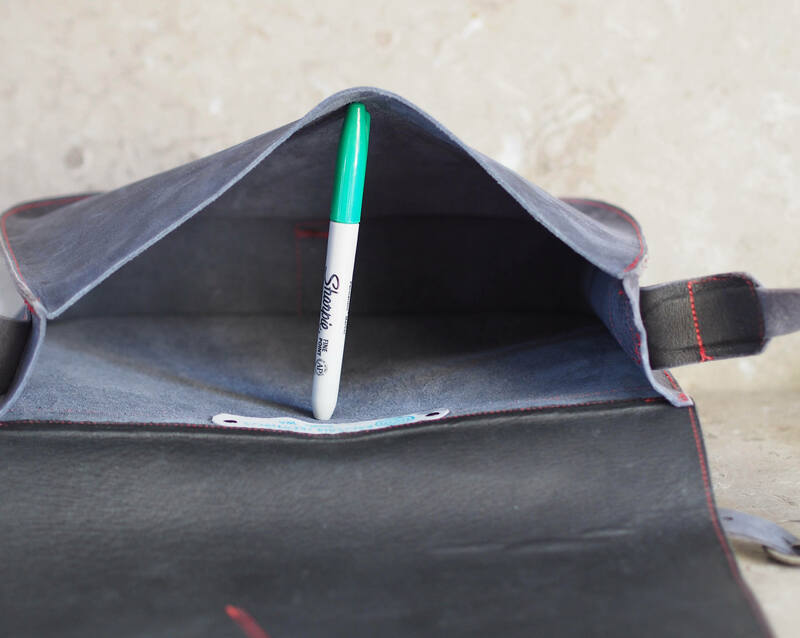 There are 13 holes spaced 1" apart, for a strap length from about 48" to 60", to fit most as either cross-body style, or single shoulder. 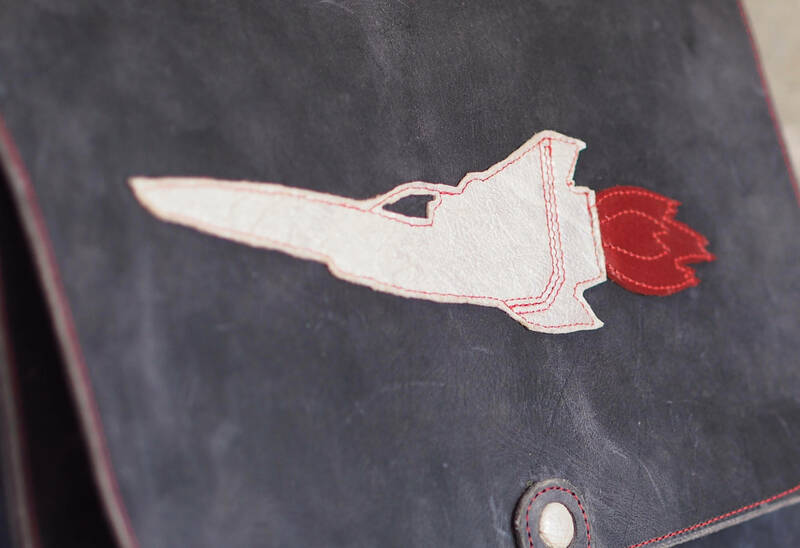 The Viper is hand cut from pearl finish sheepskin, and the engine flames are glazed cowhide, secured with glue and red machine stitching, as is used for the entire bag. 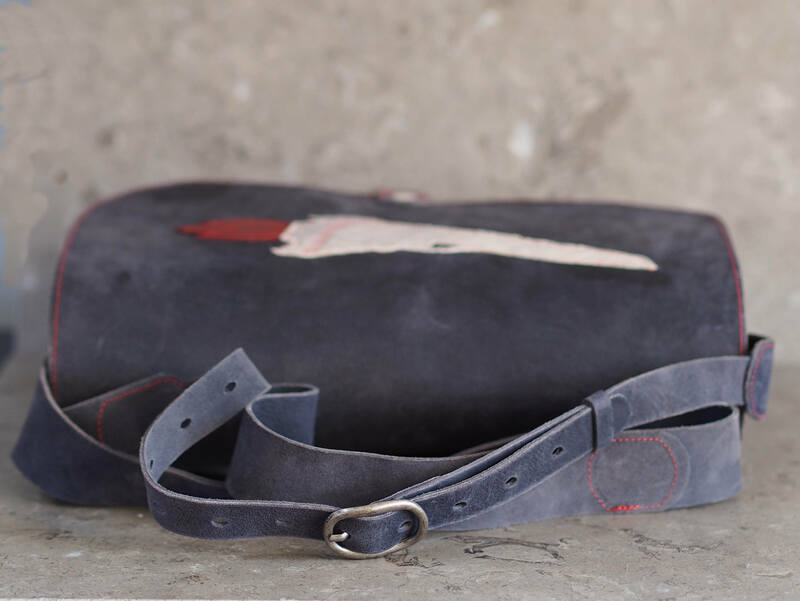 The flap can be secured with a black ABS side lock buckle, and it is lined with black pigskin. 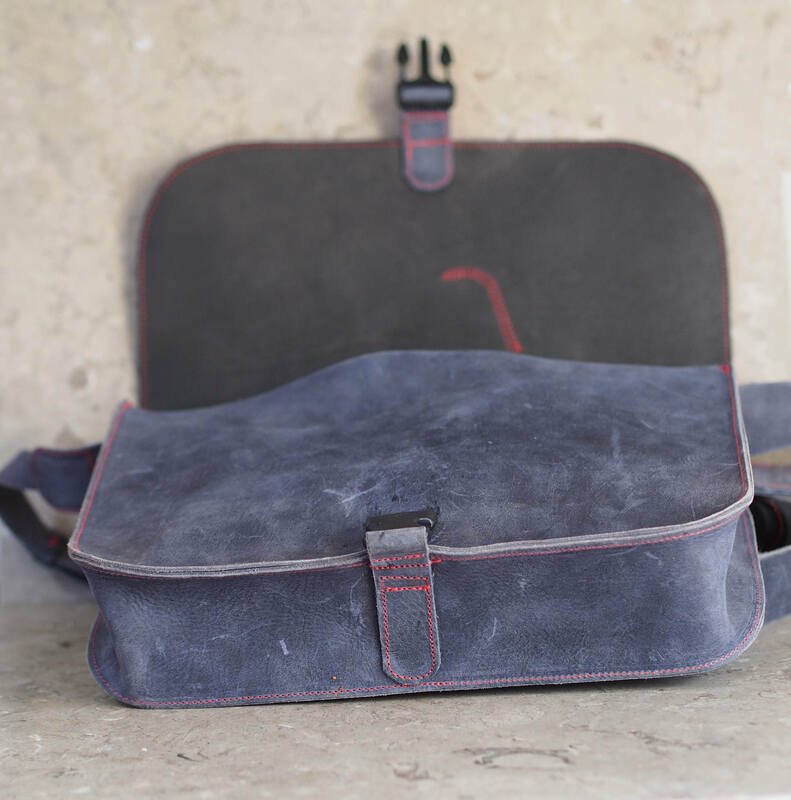 The strap attachment points on the side as well as for the strap have been accented with a punched hole and more of the pearl sheepskin.